Looking for a treadmill that performs well, but won’t break the bank? The Confidence MTI is a great choice. Designed with beginners in mind, this treadmill features a wide speed range, foldable hydraulic assist design and LED displays that help you track your progress. Let’s take a closer look at this Confidence treadmill to see if it’s worth buying. 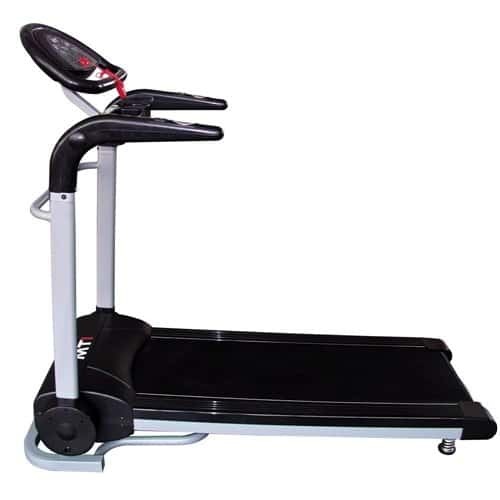 The Confidence MTI Treadmill is great for beginners who are just getting started in fitness. Speeds range from 1kph to 12kph, so you can work your way from walking to running gradually. With 12 built-in programmes, you can vary your workouts while improving your fitness level at the same time. The machine comes with 5 LED displays that show you important information about your progress, including your workout time, calories burned, distance, and your heart rate. Both the speed controls and the heart rate pulses are located on the hand bars for easy access. In addition to the built-in programmes, the machine also features 6 preset speeds, for a one-click start to your workout. An emergency stop clip is also located on the front of the machine to help prevent injury. If you have a small home, the MTI is a great option. 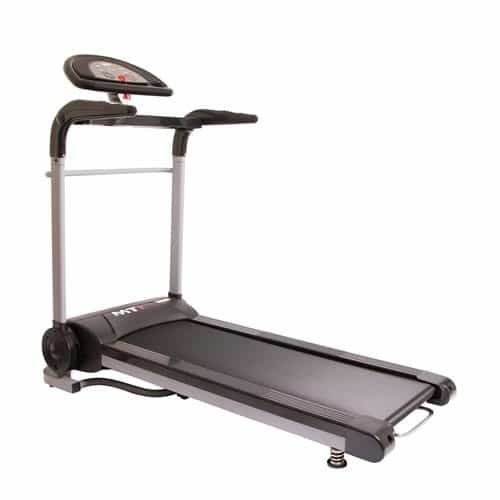 It’s foldable and features hydraulic assist, so you can store your treadmill away with ease. When ready for use, the treadmill is roughly 1600mm x 720mm x 1340mm and weighs 44kg. This particular model is suitable for users up to 23.6 stone (150kg). The MTI is affordably priced and it comes with some nice additional features, such as the ability to plug in your own music player and hydraulic assist when folding the machine. For beginners (and even for more experienced users), this treadmill will provide you with everything you need to start improving your fitness level right away. Great for both beginners and experienced users. Multiple built-in programmes allow you to choose a workout that suits your experience level. Foldable design with hydraulic assist makes it easy to store the treadmill. LED displays allow you to track your progress. Speed adjusters on handle bar and emergency stop clip improve safety. Even with hydraulic assist, this treadmill is heavy and can be hard to setup without an extra pair of hands. We would have liked to see an incline feature to make workouts more challenging. This is not a deal breaker by any means, but would have been a nice feature to include. It’s also important to note that you should have someone help you assemble this machine as it can be difficult to unpack and put together alone. Aside from these minor drawbacks, the Confidence MTI Treadmill is a good buy for beginners and intermediate level users. It lacks the incline that experienced users would expect and want in a treadmill, but the speed range is more than enough to help most users improve their fitness levels.